It was a cold and stormy day. No hyperbole here. The weather was fierce! I slammed the door to the van and ran inside the orphanage. 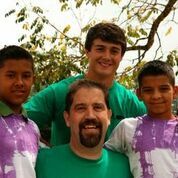 Our team had just arrived at a special needs orphanage in Tegucigalpa, Honduras, that Point of Impact (POI) partners with. Our team visited this particular orphanage for the purpose of donating supplies. We also planned to spend some time with the children there. The kids from both POI homes were with us so they too could serve fellow children at this special needs orphanage. Needless to say, my heart was full from what I saw next. Our POI kids were formerly rescued from the streets themselves. They were saved from unwholesome family predicaments (among many other things) yet now the Lord had given them new life through POI. And talk about a full circle. There were our rescued children busy with the gospel mandate to rescue others who were in need—the evening was a perfect illustration of God’s grace and mercy that he first extends to us then extends through us. Yet the evening reminded me of just how much grace and mercy God may want to extend through me—and prayerfully, to those of you reading this blog. We visited another one of the houses for the orphans fraught with the needs of innocent children. They needed more supplies. They needed doctors. They needed a vehicle in order to transport their children. The list went on and on. And as a newcomer I felt helpless with a burden I know only God could lift. As I walked around the room I whispered prayers of desperation that God would meet the needs of these precious children. I met a baby boy only a few months younger than my 17 mo. old son. His name was Jose David. He was lying down in great discomfort trying to go to sleep. He was in pain and his constant wincing released the tears I had been trying to hold back. I asked an attending woman what his story was to which she replied, “He suffers from Hydrocephalus. His case doesn’t look like others because he contracted his illness after he was born. 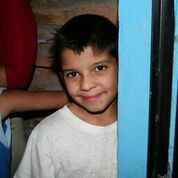 When he was born Jose David was thrown into a dumpster where his head was struck. This caused his condition.” Well the tears became an all-out sob of course. I walked into the next room hoping not to cause a scene. When I regained my composure I met another girl lying in bed. She was covered by a blanket from her chest down yet, this girl, whose face resembled that of a teenager’s, couldn’t have been too much bigger than my one year old. A therapist next to her informed me that this girl’s name was Claudia. Claudia was 16 and had suffered from malnutrition her entire life. For years she hadn’t been able to move. Now that she was receiving care she was finally able to move her arm somewhat and turn her head from side to side. Encouraged by God’s truth I began that night to DO something. I desired nothing more but to come alongside the great God as He came alongside these children. I was not able to do much but I had to start somewhere. And that night I learned that, for me, starting meant being there. Starting meant being present. Starting meant being with these children. It meant asking questions about Claudia and Jose David. It meant committing to pray for them. It meant helping provide the resources for them in whatever way I could. It meant believing that the little I could do was still SOMETHING. It meant taking my eyes off myself and fixing them on Jesus and his people. It meant reminding myself that God is in control and gets all the glory. So my “something” has begun. And yours can to. Let me ask you—What does something look like for you? What does your “Being there” mean? Where will you start in this journey of bringing God glory through the nations? We are all blessed when we hear another person’s story. We are particularly blessed the more willing a person is to share their story with amazing openness in that much of the story is hard to tell. Edgar Moreno is now 19 years old. Edgar has been a part of POI since the 4th grade. Because of God’s faithful provision, POI has taken Edgar under its wings and has supported him with food, shelter, education and genuine loving care. What a blessing it will be to see him graduate high school this November! When asked about his first memory of POI, Edgar smiled as he reminisced. “I remember so clearly seeing my friends coming back from VBS.” Those friends told him to go back with them next day. Edgar remarked, “I asked my mom for permission but unfortunately she said no. She had to go out and I had to stay in the house to keep it safe. At the end of the day I saw everyone coming back with toys, and I decided to ask my mom for her permission to go to the project the next day. Sadly, the team leading the VBS was gone and no more toys were given away that day. But I stayed the whole time and had such a wonderful experience that I wanted to be back. I asked my mom to enroll me in the project. 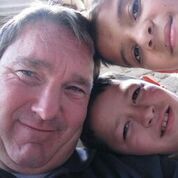 Since I was in 4th grade and having difficulties at school she let me go because the project was helping kids with learning reinforcement.” As he engaged the POI experience, Edgar quickly made friends with a group of kids and teachers whom he began to trust. Edgar has experienced his fare share of heartache due to a great deal of loss. He reflected, “I am glad I am with POI. I’ve had many friends that have turned up dead or in gangs. I was rescued. I am a survivor. I’ve had the opportunity to make the wrong choice, but I’ve seen first hand where those easy choices lead you to and I don’t want to end up like that. My oldest brother was also a victim of that.” Although it must have been very hard for his mother to rely on someone else to take care of him, everyone agrees it was the best choice. And fortunately he has a good relationship with his mother who is invested in seeing him succeed along with an older brother and younger sister. Edgar has given us the following prayer requests join us if you please. For his education—to finish his senior year successfully. For his family. His mom, brother and younger sister. For his future—to gain strength to face life’s next challenges. 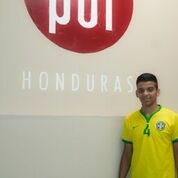 Pray for Edgar to have a clear vision of how to start his new journey. Meet Wilmer! 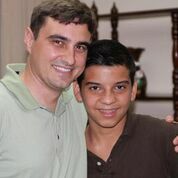 Best pals with Anderson, one of his brothers in the orphanage, Wilmer is a serious and joyful young man. As a young child, Wilmer’s mother abandoned him to go to the United States and his father is a convicted felon for murder. Wilmer previously lived with his aunt and cousins but they saw him as nothing but a burden—one more mouth to feed.